Installing a new roof can cost up to $12,000, with many homeowners spending at least $5,000 on a new roof. That’s a major expense for any home, but with proper maintenance, it’s one that doesn’t need to be made for 20 years — sometimes even 30 years depending on the materials used. Of course, good maintenance habits can dramatically extend the life of your roof. Regular inspections, cleanings, and heading off problems before they become serious issues can make a difference in how long your roof lasts. Use these tips to maintain your roof and keep it in good working order for many years to come. Perform regular roof inspections: Whether you hire a pro or do it yourself, this is a smart move that can head off issues before they become a real problem. You should look for damage when the seasons change or after any major storms. Watch out for signs of insect or animal activity, missing, damaged, or curling shingles. You should also keep an eye out for fungus or algae growth as well as rust. 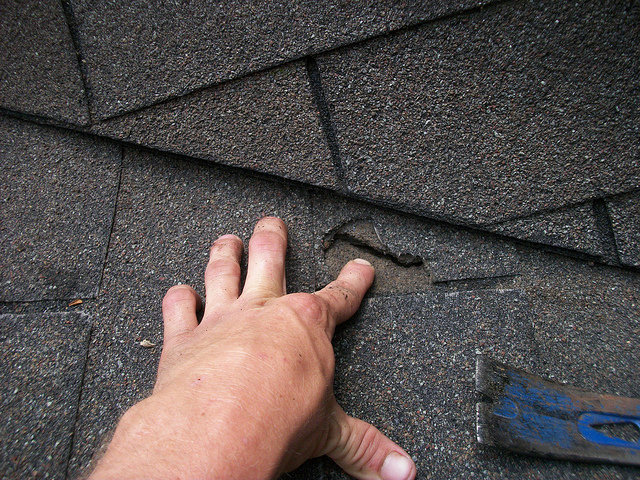 Look for shingle pieces on the ground after storms as well, and be sure to look in the attic for leaks. Trim your trees: Tree limbs hanging down over your roof, or even on it can be a serious hazard. Not only do they put you at risk for broken limbs falling on the roof, they can wear down and damage shingles. Tree limbs can also encourage squirrels and raccoons to gain access to your home. Keep in mind that they may be closer to your home than you think: tree limbs are often flexible and can swing several feet during a storm. Remove debris from your roof: Debris such as leaves, small limbs, and sticks can damage your roof and encourage algae growth and even wood rot, so it’s best to remove it. You may want to have your roof cleaned while you’re having your trees trimmed, or just remember to do it each time you clean your gutters using a telescoping pole or a roof leaf rake. Inspect and repair seals, joints, and flashing: These are the most frequent spots for leaks and should be regularly inspected for damage. Flashing covers entry points into your roof including the vents, exhaust pipe, and chimney, and it’s often a hotspot for leaks. Look for bending or even punctures, as well as dried out or loose sealant. Repair small leaks quickly: Roof leaks will always get worse, not better. Invest in a roof repair immediately if you have a leak before it becomes a big problem. Pay attention to warning signs: Don’t ignore the sound of hail, rodents in your attic, leaks, or shingles on the ground. Roof repair may be expensive, but typically, it’s only gets more expensive the longer you wait to fix it. Clean your gutters: It’s a chore no one wants to do, but cleaning your gutters and downspouts, particularly during heavy leaf seasons, will help to keep your roof healthy and allow moisture to clear from your roof. While you’re up there, be sure to check for gaps in the seams and that the brackets are secure. Do not allow pests to live in your roof: If you see signs of small animals, termites, or other pests, take steps to remove them immediately. They can cause serious damage to your roof as they chew and use materials to make their home. Clear snow if there’s danger of collapse: Heavy snow accumulation can cause your roof to collapse. Use a snow rake to carefully remove the buildup from your roof or hire a professional. Install efficient attic insulation and ventilation: The right insulation can stop your roof from warping, and it can also save your roof during a snow or ice storm. Insulation can prevent snow and ice from melting and then refreezing, potentially causing water damage to your roof. Don’t make walking on your roof a habit: Sometimes, it’s necessary to get on your roof, but you should avoid doing so whenever possible. It’s easy to damage shingles or tiles just by walking on them. Avoid power washing your roof: It’s smart to remove debris and algae to keep your roof clean and in good working order, but power washing can damage your roof, possibly even removing parts of it that are undamaged. With proper maintenance, you can enjoy decades of service from your roof. This can save you thousands on roof replacement and keep your home and family safe for years to come. When it is time for more serious roof repair, make sure you have a home warranty to cover the costs.